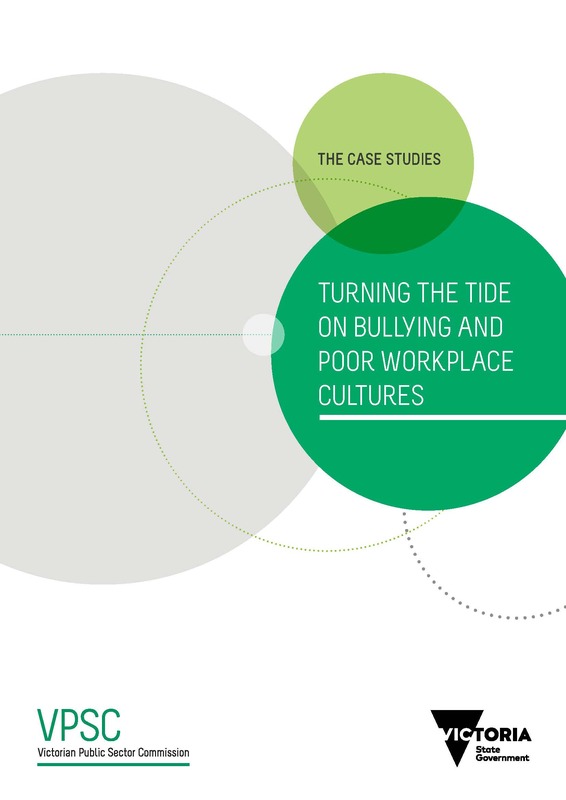 Bullying harms workplace relationships and can have a ripple effect throughout an organisation. WorkSafe Victoria defines bullying as repeated, unreasonable behaviour directed at an employee or group of employees that creates a risk to health and safety. One in five public sector employees may be bullied at some time in their career. Their productivity, commitment to an organisation and job satisfaction will all suffer as a result. The same is true of any people who witness bullying. Bullying is a major risk to health and safety in an organisation. Managers have a duty of care to provide a working environment that is reasonably free of risks to health and safety. Bullying is one of those risks. It has been shown to have a number of negative outcomes for an organisation, including increased staff absences and turnover, lost productivity and costly litigation. Our resources are intended to help managers respond to bullying when it first occurs and taking follow-up action to prevent it from happening in the future. Lists some common Victorian public sector myths and facts about bullying. It is intended to provide line managers with answers to some of the questions they may have about responding to complaints of bullying in the short term and preventing its occurrence in the long term.